This was a last minute request from my friend Scott. He sent me a text on Monday saying he had a challenge for me if I was interested. He wanted a cake for a duel event celebration – Easter and Andrew’s birthday. In his words “Andrew is our outrageously flamboyant gay florist….”. I sent him a photo of the 3D Easter egg cake I made last weekend and he liked it. 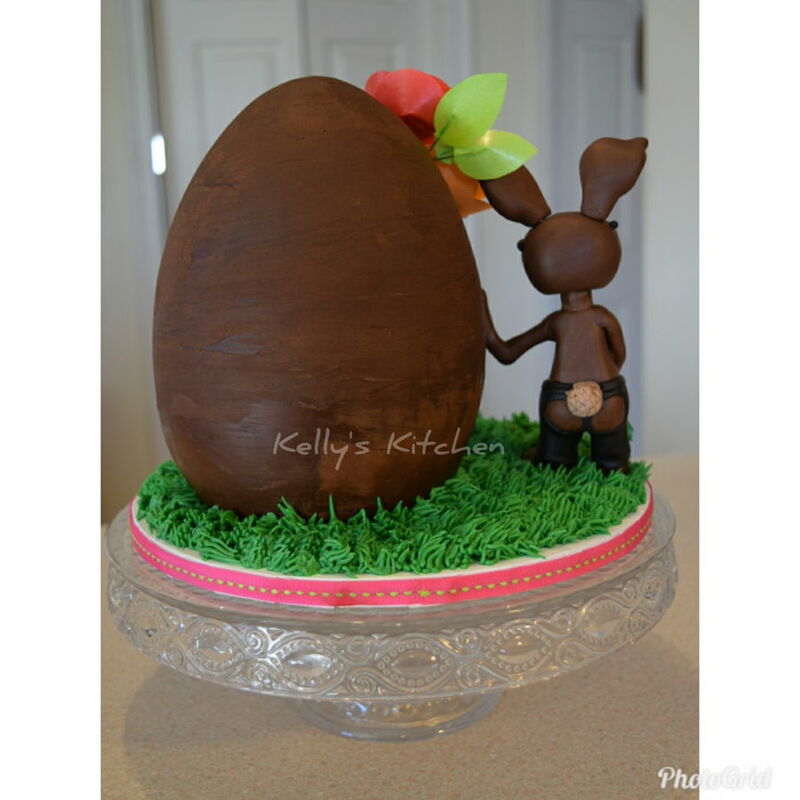 I covered the cake with chocolate ganache to make it to look like a giant chocolate egg. 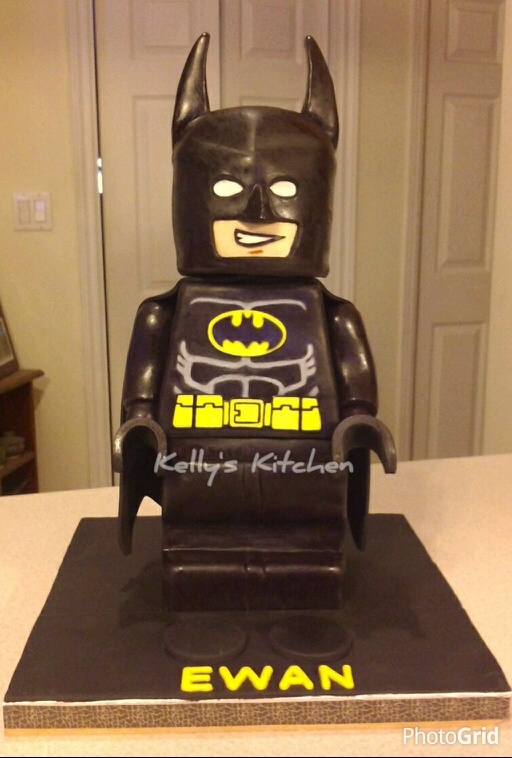 The cake inside is rainbow colored vanilla bean cake so a bit of a surprise for when he cut in to it. The rainbow of flowers are made from wafer paper and then I added a bit of gold leaf to make it a bit flashier. 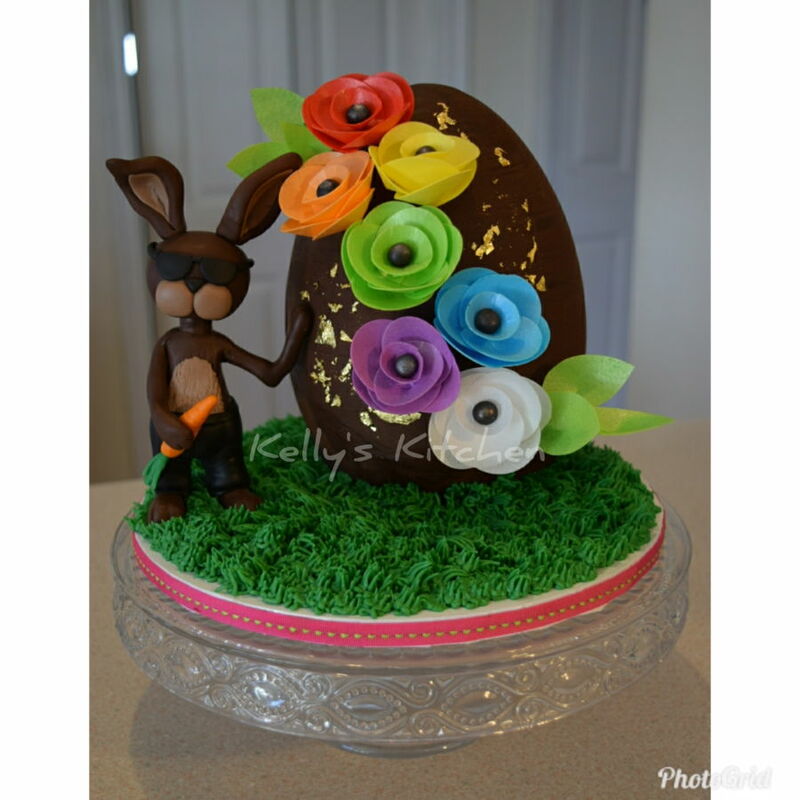 The grass is buttercream and the bunny is modeling chocolate. 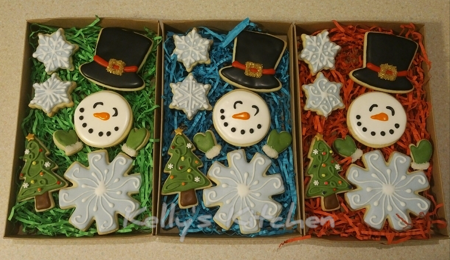 I would have liked for him to be white but on short notice I didn’t have any white modeling chocolate made up. From the front it looks like an innocent Easter bunny holding a large carrot standing next to the egg. 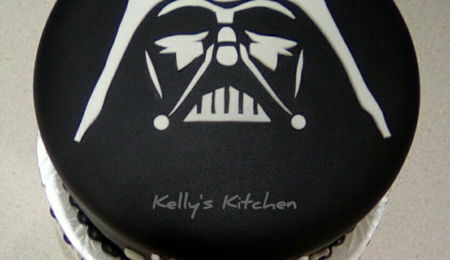 Viewing the cake from behind reveals the “cheeky” detail. The idea for his leather pants came from footage I saw of a gay pride parade. One of the participants was wearing pants just like it. The cake was a big hit ☺. Hope you all like it too! 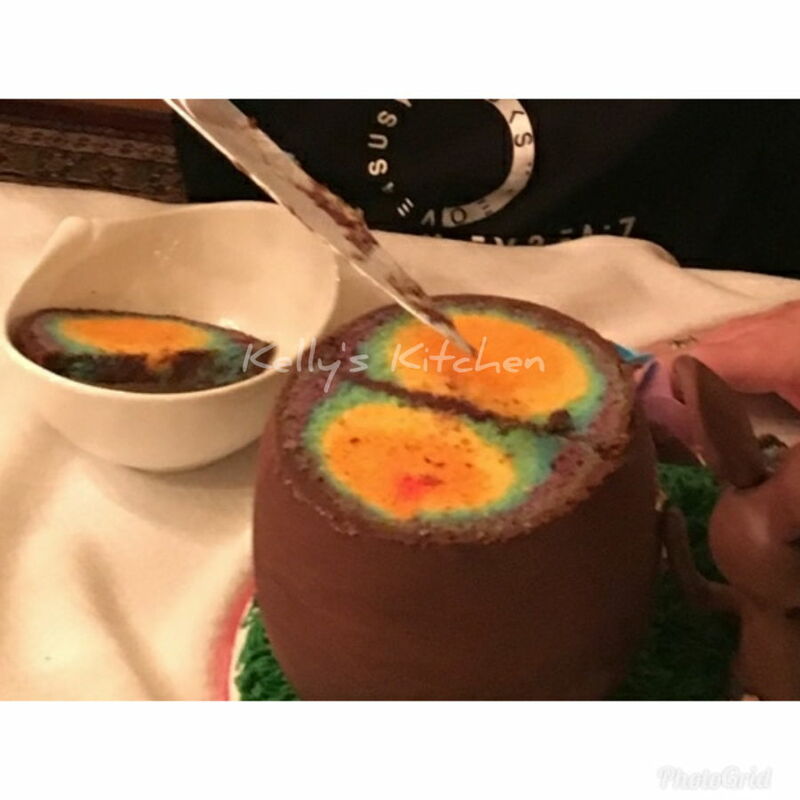 Kelly, this is so adorable - the rainbow flowers, the rainbow inside the cake, but most of all, the leather chaps!